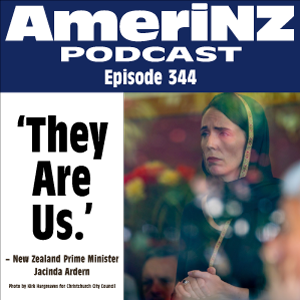 » AmeriNZ 344 – They Are Us AmeriNZ Podcast: One guy, two countries. On Friday of last week, New Zealand was changed when terrorism arrived on our shores. I reflect on that day and the immediate aftermath from my perspective. The is a personal viewpoint, not a news report or news analysis—there are plenty of places that provide that. But for nearly a dozen years I’ve talked about good things and bad things that have happened in New Zealand, and this could be no different. Important update: After I recorded and prepared this episode, the New Zealand Government followed through on its promise and will ban all military-style semi-automatic weapons and all assault rifles. I’ll have more to say about that later, but I applaud the move. Be sure to Like the AmeriNZ Facebook Page for all things AmeriNZ! There are several ways to send me an audio message—this earlier post lists them. 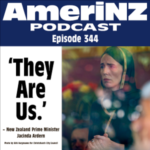 No user commented in " AmeriNZ 344 – They Are Us "